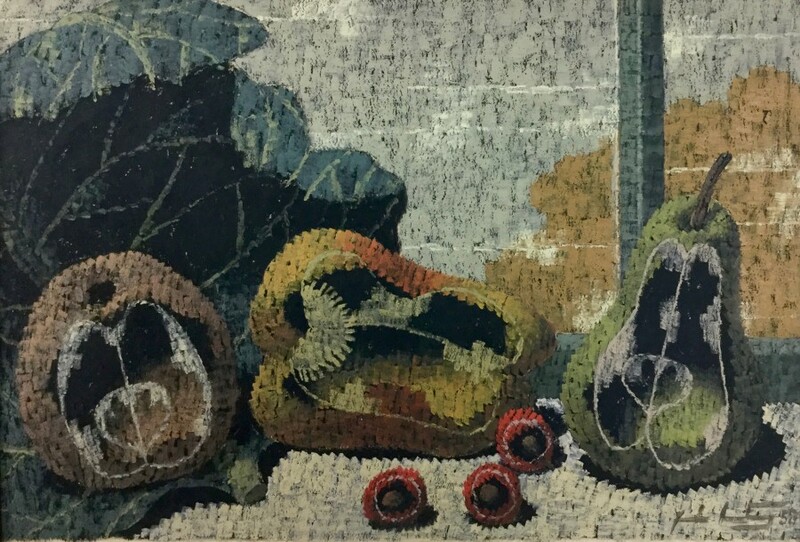 This painting shows Armstrong's earlier career as a theatre designer, with its subjects arranged on a window sill as if actors in a play; the leaf and muntin, painted in a similar tone of green, act as a mid-ground to the autumnal trees outside the Artist's London home. 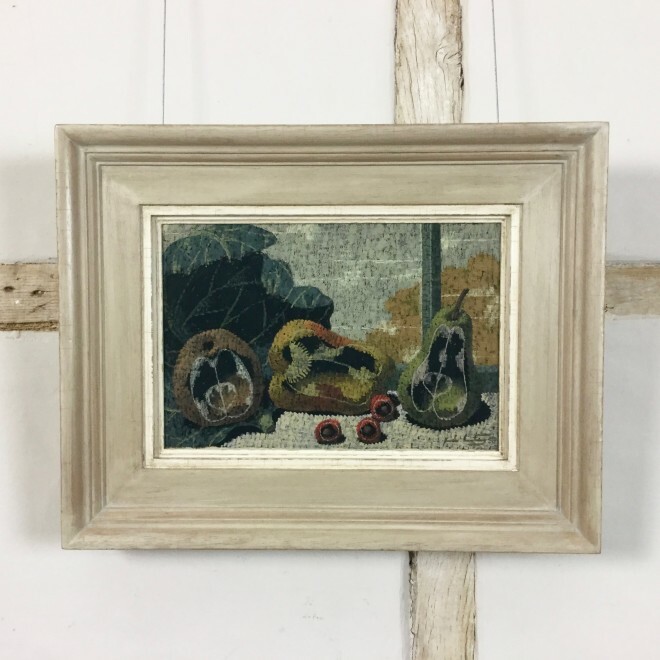 Painted after Armstrong had returned to the city from Lamorna, Cornwall, as a struggling artist, models were too expensive and so he resorted to using fruits and vegetables from his local market. 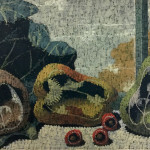 A natural variety of colours, with three bright red cherries at the lower centre, gives the painting a vivacity and energy that is furthered by the distinctive brick-like pattern of Armstrong's brushstrokes. The dark under-painting and the half-eaten, cut or rotting state of the food may be a comment on the Cold War, as the Artist exhibited this work at the RA alongside his view of post-nuclear fallout, 'Victory' (1958). The uncanny, dreamy feeling of this work, typical of Armstrong's work from the 1930s, transforms his everyday objects into potent surreal subjects.